For the third quarter, 75 companies in the S&P 500 have issued negative EPS guidance and 43 companies in the S&P 500 have issued positive EPS guidance. While the number of companies issuing negative EPS is slightly below the five-year average (79), the number of companies issuing positive EPS guidance is well above the five-year average (27). If 43 is the final number for the quarter, it will mark a tie (with Q4 2010) for the third highest number of S&P 500 companies issuing positive EPS guidance for a quarter since FactSet began tracking EPS guidance in 2006. At the sector level, companies in the Information Technology, Health Care, and Consumer Discretionary sectors account for 39 of the 43 companies that have issued positive EPS guidance for the third quarter. In the Information Technology sector, 18 companies have issued positive EPS guidance for the quarter. This number is well above the average for the sector (10). If 18 is the final number for the quarter, it will mark the third highest number of companies issuing positive EPS guidance for this sector since FactSet began tracking EPS guidance . In the Health Care sector, 11 companies have issued positive EPS guidance for the quarter. This number is also well above the five-year average for the sector (four). 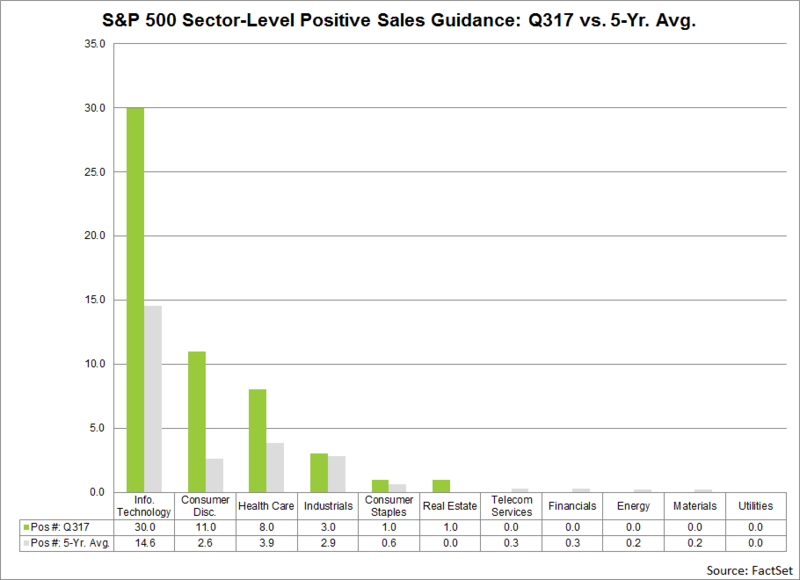 If 11 is the final number for the quarter, it will mark a tie (with Q2 2017) for the highest number of companies issuing positive EPS guidance for this sector within FactSet's available data. 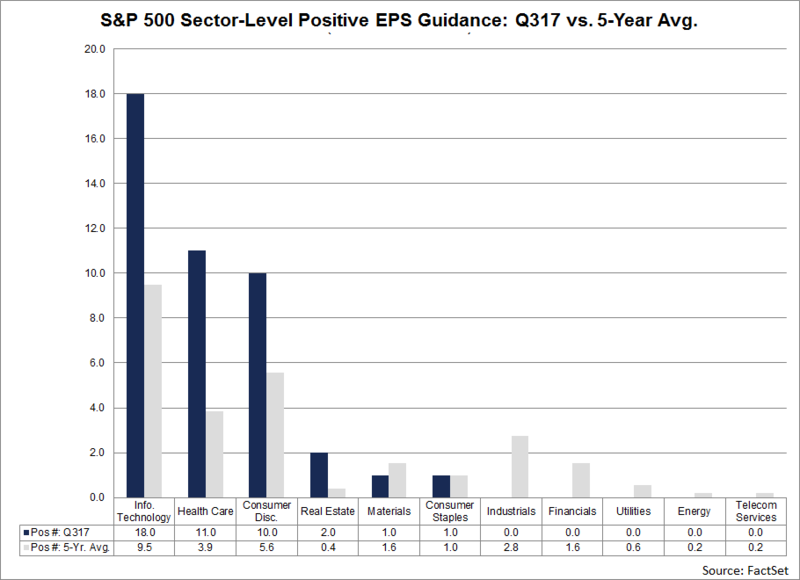 In the Consumer Discretionary sector, 10 companies have issued positive EPS guidance for the third quarter. This number is also above the five-year average for the sector (six). If 10 is the final number for the quarter, it will mark a tie (with three other quarters) for the fifth highest number of companies issuing positive EPS guidance for this sector since FactSet began tracking EPS guidance. What's driving the unusually high number of positive EPS preannouncements? One factor driving the increase is the unusual high number of S&P 500 companies issuing positive revenue guidance. Overall, 54 companies in the S&P 500 have issued positive revenue guidance for the third quarter. This number is more than double the 5-year average (25). If 54 is the final number for the quarter, it will mark the highest number of S&P 500 companies issuing positive revenue guidance since FactSet began tracking revenue guidance in 2006. The current record is 45 (Q1 2011). Of the 43 S&P 500 companies that have issued positive EPS guidance for the third quarter, 31 (or 72%) have also issued positive revenue guidance. At the sector level, companies in the Information Technology, Health Care, and Consumer Discretionary sectors account for 49 of the 54 companies that have issued positive revenue guidance for the third quarter. In the Information Technology sector, 30 companies have issued positive revenue guidance for the third quarter. This number is double the five-year average for the sector (15). 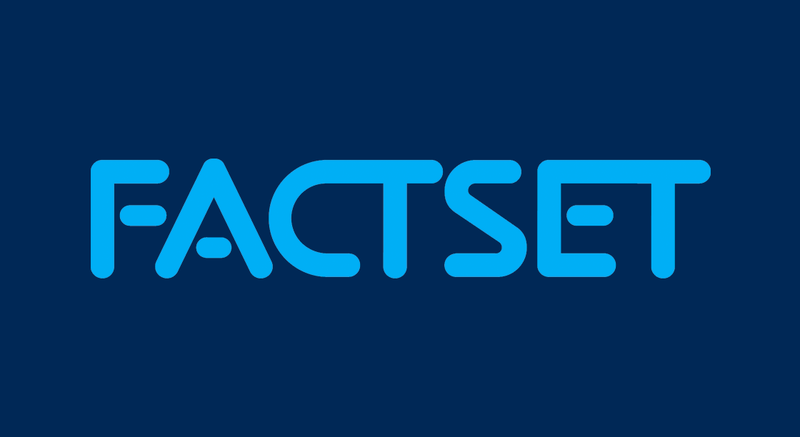 If 30 is the final number for the quarter, it will mark the third highest number of companies issuing positive revenue guidance for this sector within FactSet began tracking revenue guidance in 2006. In the Consumer Discretionary sector, 11 companies have issued positive revenue guidance for the third quarter. This number is well above the five-year average for the sector (three). 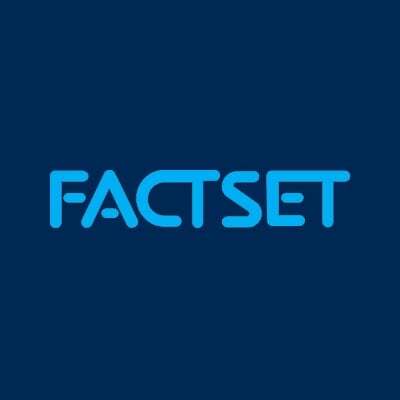 If 11 is the final number for the quarter, it will mark the highest number of companies issuing positive revenue guidance for this sector within FactSet's available data. In the Health Care sector, eight companies have issued positive revenue guidance for the third quarter. This number is double the five-year average for the sector (four). If eight is the final number for the quarter, it will mark the second highest number of companies issuing positive revenue guidance for this sector since FactSet started tracking revenue guidance. 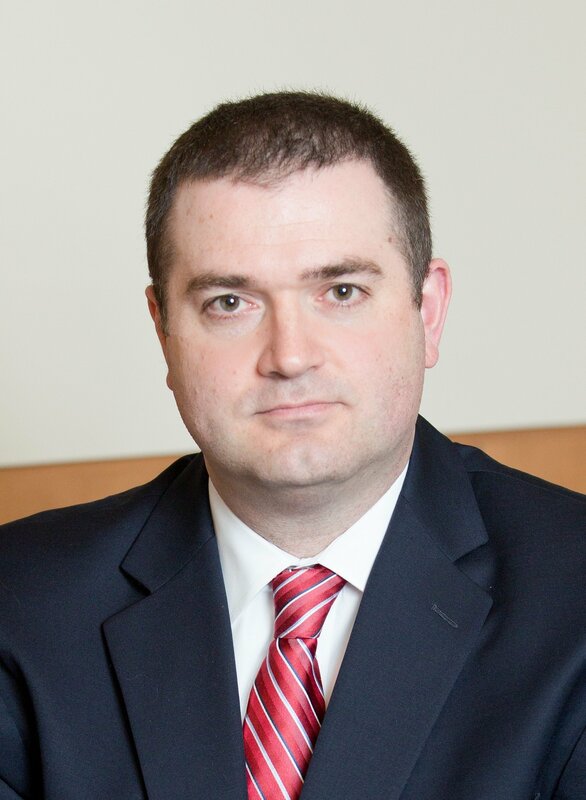 Beyond stronger revenues and bookings, a number of S&P 500 companies in these three sectors (and other sectors) cited smaller negative impacts from foreign exchange, growth in Asia and China, and positive impacts from acquisitions as factors for improving EPS and revenue guidance for the third quarter and for the full year. What Are Companies Saying on Their Earnings Calls? The term “guidance” (or “preannouncement”) is defined as a projection or estimate for EPS (or sales) provided by a company in advance of the company reporting actual results. Guidance is classified as negative if the estimate (or mid-point of a range estimates) provided by a company is lower than the mean EPS (sales) estimate the day before the guidance was issued. Guidance is classified as positive if the estimate (or mid-point of a range of estimates) provided by the company is higher than the mean EPS (sales) estimate the day before the guidance was issued.